When you have kids isn’t it strange how time seems to fly by and stand still all in one?! That certainly sums up my first five years of being a parent. Endless nights of getting up every 10 minutes for cuddles, wees and lost cuddly toys. And then you blink and they seem to grow five centimetres! This came home to me again when I started thinking about all our adventures in the past half decade, and all the things we’ve learnt. Obviously, as a travel blogger I’ve shared an awful lot of our highs, lows and family travel tips on the blog. 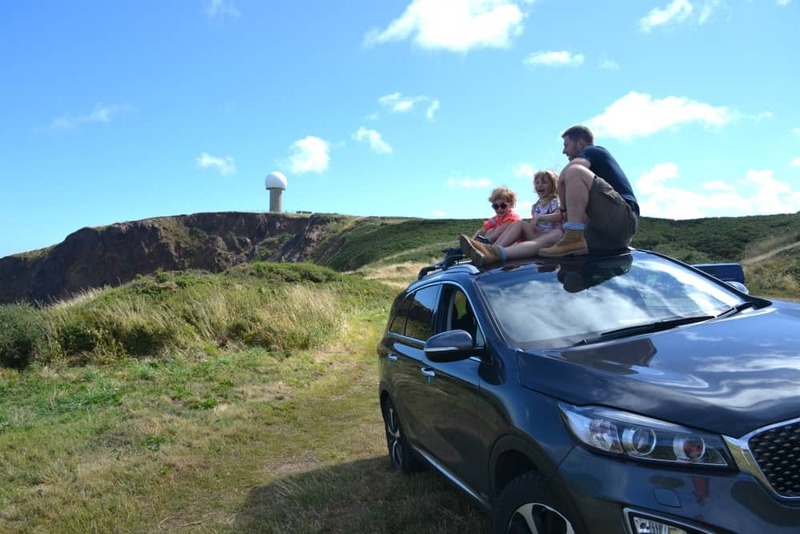 In this post I thought I’d recap and bring together some of our top advice for travel with kids from caravanning and camping, to road trips and cruising with children. If you’re after family packing lists then they are here. 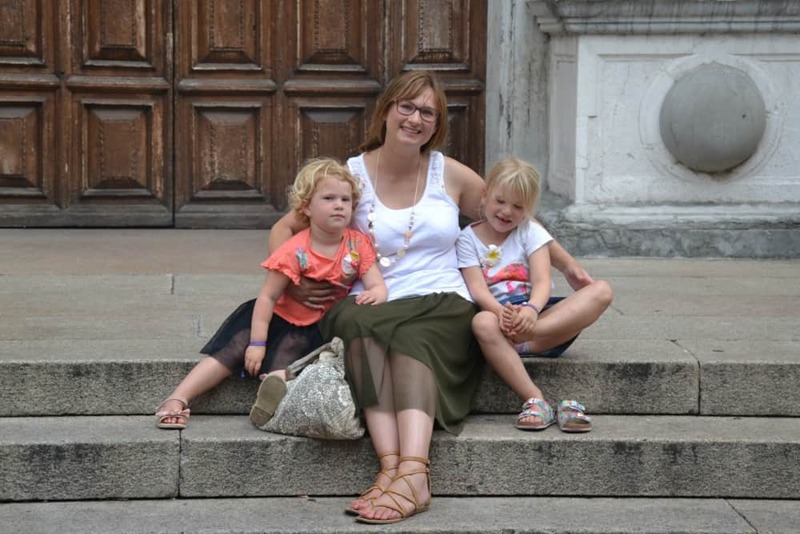 If you’d like some words of wisdom on travelling alone with kids I’ve got that too. Or what about road trips with kids? Yep, I’m on it! I’ve even got some advice on staying safe when on a family holiday and how to save money when travelling with kids. I hope you find these blog posts and resources useful. And why not pin this family travel tips post so you can come back to it later? I’ll be adding to it all the time. If you’re up for regular family travel inspiration, tips and recommendations then you can sign up to my newsletter. Which cruise lines are best for families? If you are wondering whether city breaks are for young children, then we’d definitely say give it a go. However, be prepared. Here’s my tips for stress-free city breaks with toddlers. The vast majority of our getaways start with a road trip, whether we are using the car as our main mode of transport or a means to get to our next one. Our first substantial family road trip was towing our caravan from Hampshire to Scotland via Devon with a six-month-old Tot. 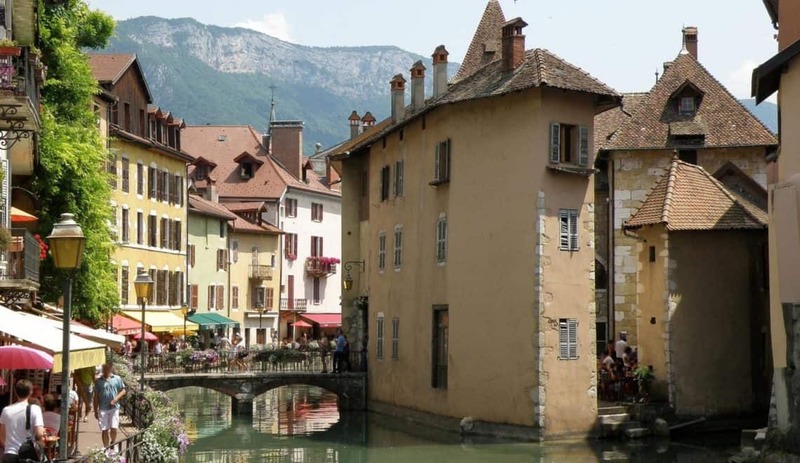 Since then we have done several road trips with our kids around England and in France and Italy. Keeping the girls entertained while we are in the car is a must for everyone’s sanity. Here’s our guide to entertainment for road trips with kids. If you are planning on a fly and drive holiday you might also find these tips for hiring a car abroad handy. Personally I’ve been caravanning since I was eight-years-old and before that I was going on camping holidays with my parents from when I was in nappies. It’s a tradition I’ve continued with my own family, but mainly in our trusty Tin Box. Since becoming parents some of our most relaxing breaks have been in a touring caravan. So it’s a type of holiday I can thoroughly recommend for families. Even those with newborns. If you are regular caravanners who have welcomed a new bundle of joy into your family or you are new parents thinking of embarking on caravan adventures for the first time, you need to read my essential items for caravanning with a baby and my checklist of things you need for your first caravan. Later down the line my must-haves for touring holidays with a toddler is important reading. Where our babies should sleep was a hot topic of conversation for us as new parents. We came up with a variety of caravan baby bed solutions in two different touring caravans. 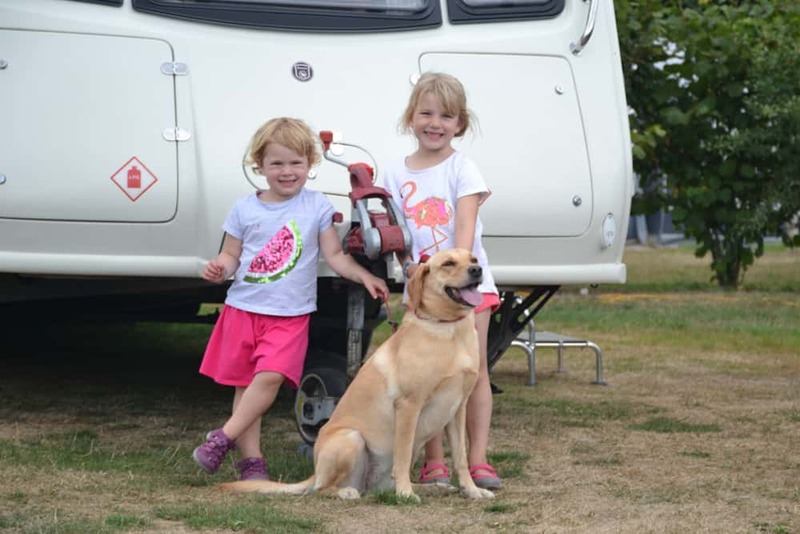 Now that our girls are past the baby and toddler phase we’re much more focused on the fun things we can do together while camping and caravanning. These camping games for families can provide hours of fun in all weathers. If camping is more your thing then take a look at this guide to campsites, including the best types of accommodation, cooking essentials and what toiletries to bring with you. Dining while camping or caravanning doesn’t have to be all about bangers and beans – although sometimes the old menus are the best! We love the versatility of a barbecue and have plenty of foodie ideas in our guide to eating while camping. If you are looking for a compact and portable barbecue that is ideal for camping and caravanning then take a look our our review of the Campingaz Party Grill. We took our first family cruise when Tot was three and Baby was 13-months-old. Since then we’ve been on another cruise when they were five and three-years-old. We are by no means experts. But we made note of plenty of tips for cruising with babies, toddlers and young kids. Booking a family cruise is super exciting but before you get caught up in the countdown to setting sail it’s important to get a few things in order. Working out parking or transfers, whether or not to buy the drinks package or wifi, and booking excursions in advance are all important pre-cruise considerations. Here’s our guide to the essential things you must do when preparing for a cruise. I did a bit of research before we took our first family cruise. However I didn’t find an awful lot around about what babies can do on a cruise ship, what baby essentials we’d need to take with us or what restrictions there might be. This guide, based on our experience, will tell you what you need to know when cruising with a baby. We have cruised with a couple of cruise lines and been invited to tour a few more to see what they have to offer families. Our seven day Mediterranean cruise on Carnival Vista was incredible and demonstrated what a fun and family-friendly cruise line Carnival is. 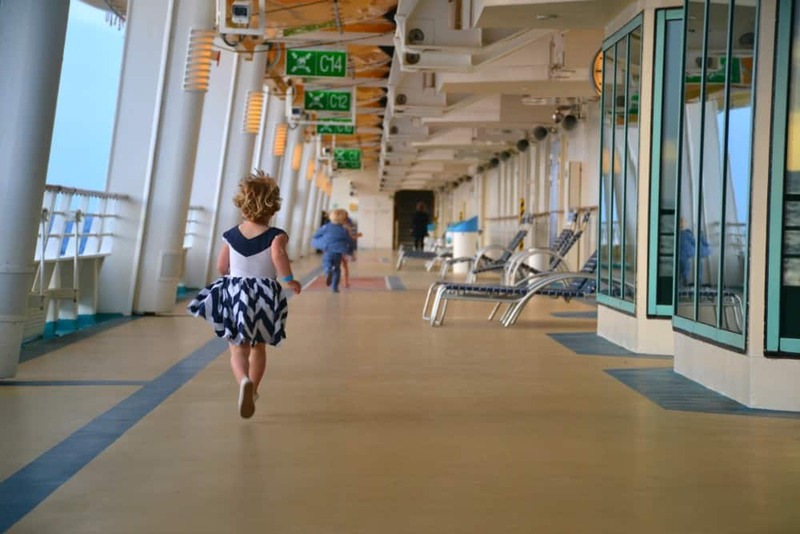 Royal Caribbean is another good choice for families looking for a cruise. We spent a week onboard Navigator of the Seas before its 2018 refit. While it had lots of things for kids to do it was lacking in waterslides and a kids pool. The refit changed this meaning this older ship now has much more to offer people cruising with kids, just like the more modern vessels in the Royal Caribbean fleet. A day onboard Princess Cruises’ Royal Princess had me itching to experience a full family holiday with this cruise line. The kids clubs looked brilliant, as did the pool areas. 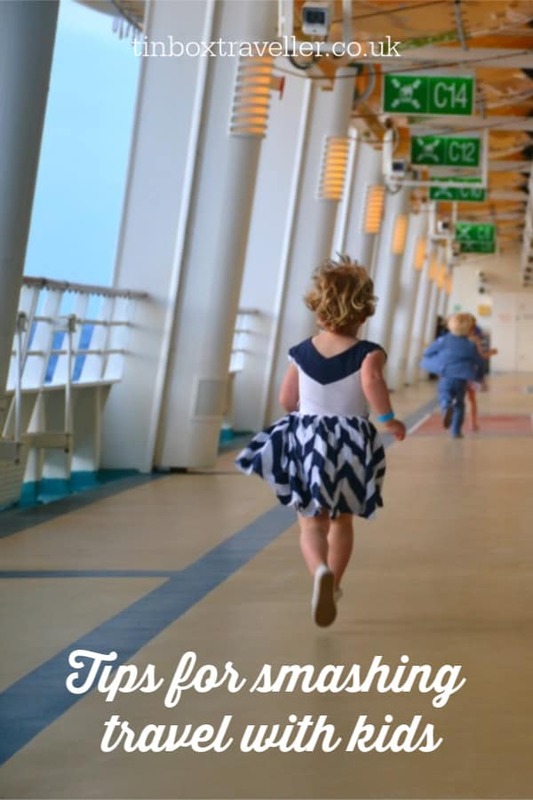 MSC is another cruise line that takes its family cruise offer seriously. I visited MSC Preziosa while she was alongside in Southampton and loved the variety of activities for kids onboard. Another option for families cruising from the UK is NCL – Norwegian Cruise Line. They have really upped their game in the family market adding escape rooms, race tracks and enormous water slides to their newest ships. Here’s a tour of Norwegian Breakaway when she was in Southampton in 2018. During the past year it has been necessary for me to travel solo with the girls while Mr Tin Box’s job has taken him away from home for long periods of time. Thankfully, I’ve had plenty of help along the way, taking full advantage of multi-generational holidays. If you are faced with the prospect of family travel without a partner or single parent holidays then my guide to travelling alone with kids could give you some much needed reassurance that you can do this! I do love a list and my very favourite kind are those associated with travel and holidays. Now the girls are a bit older (and I can squeeze in trip preparations while they are at school and nursery) I think I’ve got packing cracked. I organise our bags with the things we need first on top and make sure I have digital copies of all our important travel documents. Packing cubes have also been an incredible find for organising and separating everyone’s clobber. For more tips check out my guide to packing for family holidays. Having taken dozens of short breaks and holidays with two kids under the age of six there are some things we’d not leave home without. This list is evolving all the time, but if you have a baby or toddler you might like to check out this guide to essential things for travel with young children. If you are planning a holiday with kids in a caravan, cottage or lodge my self-catering packing list is full of handy reminders about the things you might need. If you are looking for specific tips on what to pack for glamping holidays or the things you really need to take on a touring caravan holiday then I’ve got packing lists on those too. I’m a seaside person and love a day at the beach. 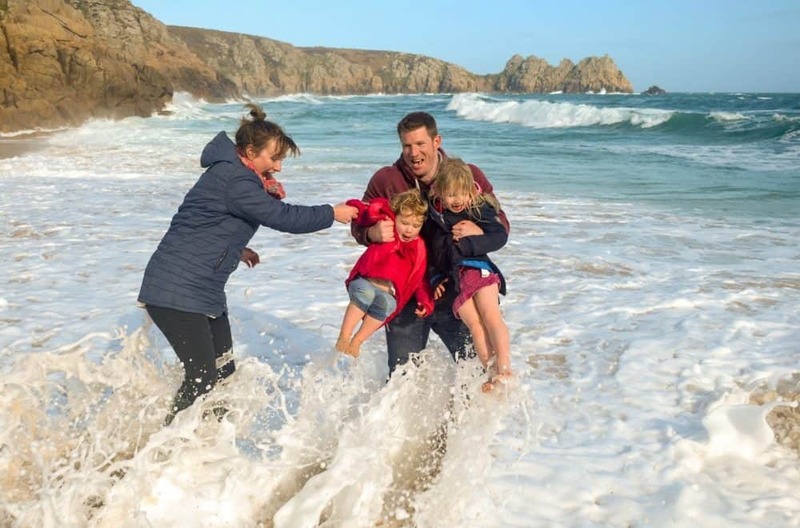 Very few of our family holidays don’t include building sandcastles and splashing around in the surf, regardless of the time of year and weather! But what are the top things we always take with us to make sure the day goes to plan? Here’s our beach bag packing list. My eldest daughter has a slight anxiety about getting on planes, so I’ve pulled together some tips on the ways we are trying to help her overcome a fear of flying. Family holidays are never as relaxing as you’d like. But you can remove some of the worry from travelling with your kids by making sure you are prepared. Simple things like taking a well stocked first aid kit through to arranging the best family travel insurance for your particular adventure will help give you peace of mind. I’ve got to admit that we are pretty rubbish at saving. However I do love finding bargains. The cost of flying abroad has well and truly ramped up now that our girls are over the age of two. It can make foreign travel seem out of reach, especially when you factor in hotels and car hire. However, there are lots of ways to bring down these costs. Find out how to save on air travel with Jack’s Flight Club. Hiring a car on a foreign holiday can give you so much more freedom to explore than relying on organised excursions or public transport. However, it can also be costly. Here’s some ways you can reduce car hire costs before you even get behind the wheel. Thanks for checking out my family travel tips and do keep coming back as I update them with fresh advice. Pin this post to make finding it again easier.